Scott Baltjes was raised on a livestock farm in the rural part of western Niagara Region, Southern Ontario, Canada. It was a world of horse-drawn haywagons, barn building bees, and outhouses. His early addiction to Saturday morning cartoons and newspaper comics led him to create his first comic strip – published as Trillium, about “growing up on the farm”. Despite his father’s objections, Scott decided to pursue a career in animation. 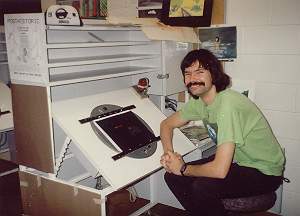 He attended the Visual Art program at Niagara College then went to Sheridan College to study Classical and Computer Animation. Scott’s first job at Mainframe Entertainment was enough to make ol’ Dad eat his words! 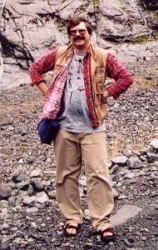 Scott worked in Vancouver, British Columbia, Canada, on award winning animation projects from 1995 to 2003. He was in the original animation crew of Mainframe Entertainment’s Reboot - the world’s first fully computer animated series. Scott makes a guest appearance as a binome character wearing an “Angus” hat in the episode Painted Windows. Many of the characters’ transformation sequences in the popular Transformers: Beast Wars and it’s sequel Transformers: Beast Machines are his creation. War Planets:Shadow Raiders, Action Man, Heavy Gear, Max Steel are among his many prestigious credits. Scott pops up again as a background character wearing his signature “Angus” farm hat and orange “Mainframe” jacket in Spider-Man the animated series. 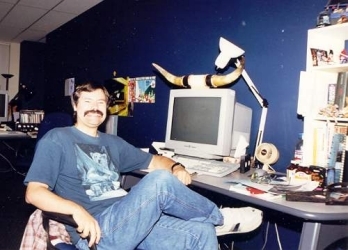 Scott worked on a video game and an Imax movie for Big Bang FX in Montreal, Quebec in the summer of 2004, then he returned to Mainframe Entertainment for Stuart Little 3 and Barbie and the Magic of Pegasus. Since 2006, Scott is employed in Nova Scotia by DHX Studios – Halifax (formerly Halifax Film Inc.) having worked on Bo on the Go, Animal Mechanicals, Pirates: Adventures in Art, The Doozers, Inspector Gadget, Wishenpoof!, Super Why, Little People, Space Ranger Roger, Bob the Builder and Rev and Roll. Scott enjoys hiking in the backcountry or kayaking/canoeing the local waterways and is a member of the Halifax Search and Rescue team. He is usually accompanied with at least one camera to photograph wildlife, landscapes, old buildings, and historic sites. He has an extensive photo collection from British Columbia, Southern Ontario, Nova Scotia, and other places he has traveled around the world. His favourite subjects are the odd old barns he finds on his weekend road trips through the countryside with his wife Anne and dog Bella. On rainy days, Scott enjoys working with more traditional media. You can find him sitting at his easel drawing and painting or sketching comics and doodles. 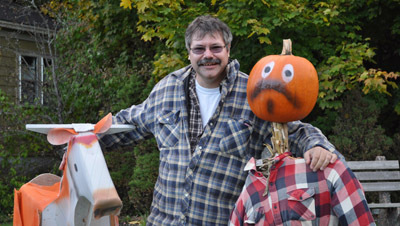 He has many artistic interests and talents including carving and woodworking. More work from Scott’s limitless imagination include his own animated short Post_Historic – a post-apocalyptic adventure about a little girl in a ruined city populated by mechanical creatures, Alabaster the Unfriendly Ghost – a hilarious comedy about an inept poltergeist, and Rural Roots – an updated version of his old Trillium comic strip. Scott has been gathering and researching local ghost stories, folk tales, myths, legends, and historical tidbits for over 25 years. His upcoming books are called Haunted Niagara and Legendary Niagara.